Many lives have been needlessly destroyed because of violated rights and principles. Although you should never let people walk all over you, there is a right and a wrong way to handle violated rights. This chapter will show you the difference. Another casualty of fighting over principles is our attitude. Think back to a time in your life where you had to take a stand on something that was going to be difficult. Remember how you had to "psych" yourself up to take on the challenge? I have had to face many serious and difficult situations in my life (both working in the prison and elsewhere). In these situations, I had to prepare myself mentally to undertake the challenge. Mentally, I would anchor my feet, square my shoulders, and put my fists up and say, "Come on, it’s go time!" Prolonged exposure to this posture will spoil your attitude. When you psych yourself up for a battle, it is difficult to return to the normal mode when you are not in the battle. Your home life usually suffers during these times of "war." You are usually less patient and understanding with your family. Your fuse is short and you find yourself exploding at little things. If you do not take special precautions, you will become more critical and judgmental of others. Ephesians 4:26 says, "In your anger, do not sin." There are times when certain injustices should make you angry. 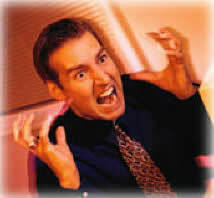 The problem is, however, it is easy to overreact or be careless when you are angry. Picture driving a car down a street at 5 mph. At this slow speed you have a large margin for error. You could make many mistakes without going off the road or doing any serious damage. Now picture yourself driving down the same road at 200 mph. It wouldn’t take much of a mistake to cause you to crash into a tree. This principle applies to our emotions. When you are emotionally calm, you are less likely to do something that is incredible stupid. However, the more emotional or angry you are, the less margin of error you have. If you are very angry, you could say or do something that could have severe consequences. While it is true you could do or say the exact same thing when you are calm, there is far less possibility of it happening. When our emotions are running high, our judgment can become distorted. Hitler’s bombing of England is a good example of this. 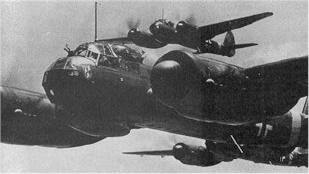 During WWII, two German bombers went off course and bombed a residential area of London. Churchill thought this bombing of civilians was intentional, so he ordered the English bombers to bomb civilian targets in Germany. Hitler, enraged by this, ordered all of his bombers to target civilian targets. When you are fighting a violation, try to keep your anger under control as much as possible. Your fight over a violation may be fully justified, and yet, you could still be "wrong" because of the way you fight the violation. The other person may have sinned first, but if you sin in the way you handle the violation, you are just as much "in the wrong" in God’s eyes. I try to make it a practice not to fight a violation (even if I am completely justified in doing it) if I cannot do it in a calm and controlled manner. As mentioned in other chapters, our primary goal should be to honor God with our thoughts, words, and actions. This takes a much higher priority than righting the wrong. Since there are many more "righteous battles" than what you have time and energy, it is important to choose your battles carefully. An unfortunate fact of life is we will continually have people infringing on our rights. When civilian doctors are drafted into the military during times of war, they are told of the Two Rules of War. "Rule number one is young men will die needlessly. Rule number two is doctors can’t change rule number one." Likewise, we are faced with the Two Rules of Life. "Rule number one is people will always violate your rights. Rule number two is you can’t change rule number one." If you think back on some of your past arguments, you will find most of them were about minor and insignificant issues. It is easy to argue over insignificant issues. What would be your reaction, if, after buying a pack of gum at the store, the clerk rounded your change up to the next dollar. So, for a 50-cent purchase, you only received $4 back from your $5 bill. Candid Camera did a show on this scenario (9/4/98). It was very interesting looking at people’s expressions. Some people, of course, got very upset, but one guy seemed to take it in stride. So, afterwards when they asked him about losing his 50 cents, he said, "I don’t sweat the little things." He went on to say, "I don’t let anyone rent space in my head." My question for you is, how much space in your head are you renting out to others?